Well guys, what Square-Enix didn’t really say is its last engine “Luminous Engine” was a pain in the … head. One of the great cause of the delay over Final Fantasy XV is “Luminous Engine” but everything has a limit. Famitsu Interviewed Tetsuya Nomura about Kingdom Hearts HD 2.5 ReMIX, and the magazine asked if he could give some news about Kingdom Hearts 3. And what he said was that Kingdom Hearts III was previously being developed with Luminous Engine, but Nomura decided to change the engine for “many reasons” . And because of this the team is fightning against some problems, but everything is fine and following the schedule. 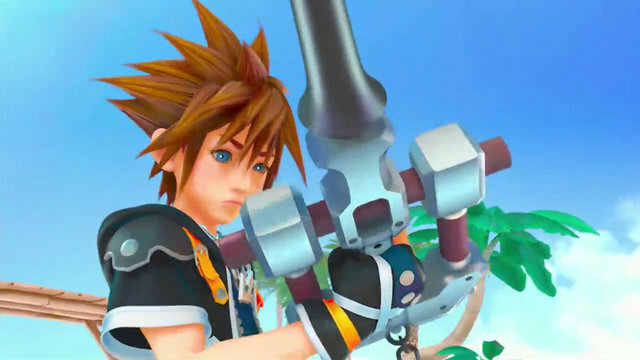 Kingdom Hearts III haven’t yet a release date, but must be coming after the release of Final Fantasy XV. Coming in October 2, 2014 in Japan and December 2, 2014 in North America. Previous Previous post: New Game of Sword Art Online: Lost Song for PS3 and PSVita Happens in ALfheim Online! Watch the First PV!